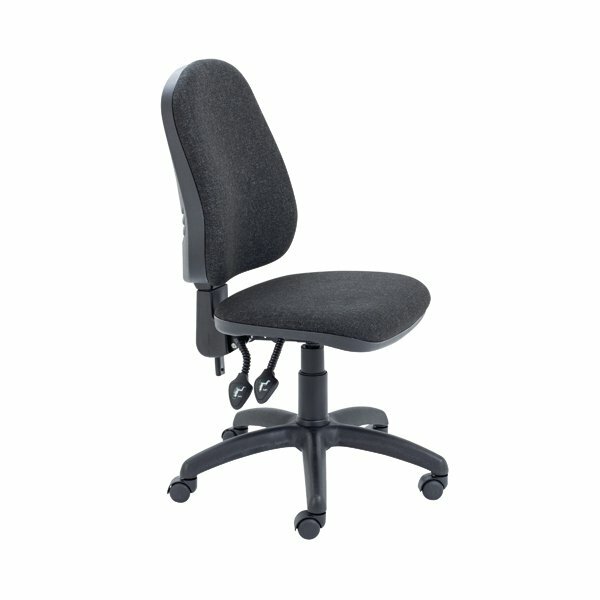 This Operator Chair has a high back for improved comfort and posture for up to 8 hours at your desk. The back height and angle is adjustable and can be either fixed or free floating. The seat height is also adjustable from 460mm to 590mm. The padded seat and back are upholstered in charcoal fabric and the chair comes on a black plastic 5 castor base (an optional chrome base is available separately).